Sculptra® (previously branded as New-Fill®) was launched in the U.K. in the year 2000. The manufacturer claims that the product can help cause new collagen growth rather than just mechanically filling depressions. The product itself is not permanent but the effects can be long lasting. Sculptra® is therefore a tissue stimulator and is used more as a sculpting and volumising agent rather than just a wrinkle filler. Larger areas can be treated with a longer lasting result. Poly-L-lactic acid is completely broken down within the skin over a period of months, however the results (new collagen growth) can last for up to 2 years (according to published data). 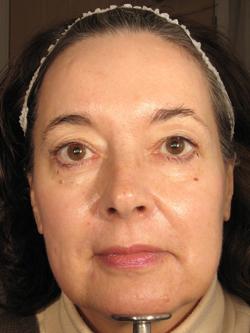 U.S. FDA Approval in 2004 for treating HIV associated lipoatrophy and further approval in July 2009 for the correction of shallow to deep nasolabial folds, contour deficiencies and other facial wrinkles which are treated with the appropriate injection technique in healthy patients. Trained members of the medical profession only. Sculptra® can be used in deep depressions of the face and as a sculpting agent for any area of the face. According to the distributor there are no known product related contra-indications to its use. This depends upon the degree of correction required, your age and lifestyle as well as the correct placement of the product by a practitioner. Generally two or three sessions are required, depending on your individual presentation, with noticeable effects after a few months. 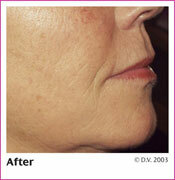 Clinical trials indicate that Sculptra® is effective for up to two years and in some cases longer. The most common side effects include bleeding, tenderness or pain, redness, bruising or swelling at the site of injection. These side effects generally resolve in 2-6 days. Few reported side effects include nodule formation (small bumps) after injection. 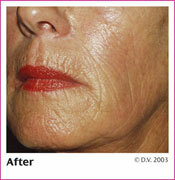 This is caused by too much product being injected too superficially in the skin. These small bumps may not be visible, and you may notice them only when you press in the treated skin. These bumps tend to happen within the first 6 to 12 months after the first treatment. Typically resolution is spontaneous, over a period of months. Nodules can be treated if required. Localised reactions thought to be of a hypersensitivity nature have never been reported. 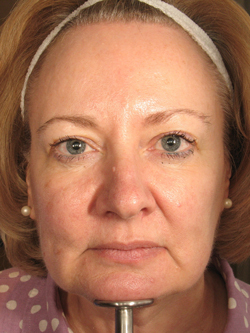 Again, this depends on the area treated and how much is required, as well as the practitioner doing the treatment, but ranges are in the region of £400 - £750 for a vial of Sculptra ®. Two vials may be needed for each of the 2 - 3 treatments which may be required. Images provided courtesy of Sanofi Aventis. 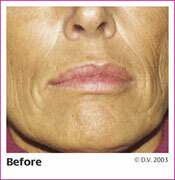 Images provided courtesy of MediZen Ltd.
All before and after photographs are real patients, your results may differ. Lafaurie M, Dolivo J, Boulu D, Madelaine I, Molina JM. Treatment of HIV-Associated Lipoatrophy of the Face with Intradermal Injections of Polylactic Acid. 9th Conference on Retroviruses and Opportunistic Infections, Seattle, February 24-28, 2002;abstract 704-T.
Berger DS. 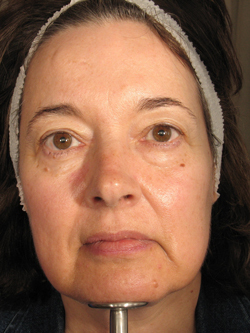 New facial filling treatment for lipodystrophy. Positively Aware 2001; September/October:17-20. Amard P, St Marc T, Katz P. The effects of polylactic acid (PLA, NewFill) as therapy for lipoatrophy of the face. 2nd International Workshop on Lipodystrophy and Adverse events, Toronto, September 13-15, 2000; abstract 94. 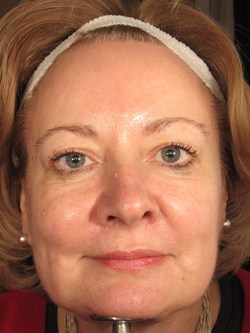 For more information please visit the www.sculptra.co.uk. Click for ALL Sculptra ® clinics in the UK & Ireland registered and verified by Consulting Room. 5 out of 5 based on 1 customer reviews.